The Enforcement Directorate filed the charge sheet in Delhi's Patiala House Court on Wednesday. 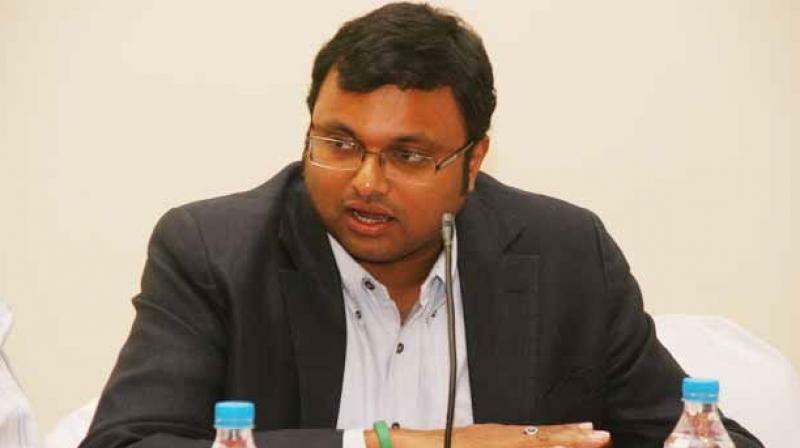 New Delhi: The Enforcement Directorate (ED) on Wednesday filed charge sheet against former finance minister and senior Congress leader P Chidambaram's son Karti Chidambaram in the Aircel-Maxis Case case. The ED filed the chargesheet in Delhi's Patiala House Court. Next date of hearing is July 4. Apart from Karti Chidambaram, the agency has also named four other in its chargesheet under section 4 (Punishment for money-laundering) of the Prevention of Money Laundering Act. The ED has mentioned the name of former union minister P Chidambaram at various places in the chargesheet but he has not been arrayed as an accused in the case. The agency told the court that it may file a supplementary chargesheet in the case.